If you’re looking for some great couponing tips, you won’t want to miss out on these gems. Couponing has always been an effective way to save money. Some people dive into the idea head first, while others just dabble in it. Taking the time to research couponing is a worthwhile investment, but not everyone has the time…and even if you do, it can be daunting to figure out where to start first. Many people just view couponing or cutting all the coupons and heading to the store, but there is so much more to it that than. You have to monitor, plan, prepare and organize…and that’s just a short list to start! Check out our list of couponing tips to save you the most money! This one seems like a no brainer, but if you’re not already clipping coupons, it may seem like an impossible task just to find the coupons you need! There are lots of resources available, though, so don’t worry. Check the Sunday paper and always ask your family and friends if you can have the coupons they aren’t using. 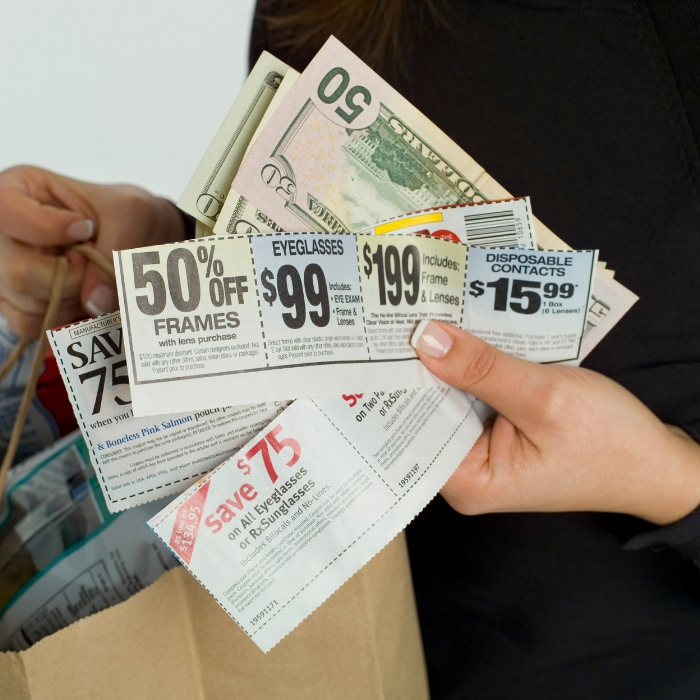 Once you find and start collecting your coupons, you’ll need an effective way to organize them. This way, you’ll always know what you have, and you can be sure you are saving the maximum amount possible! Using folders or binders is the perfect way to organize your coupons. Some people even store them alphabetically! Find a List of Companies That Will Send the Coupons to You! One of the best and easiest ways to score coupons that you might not find otherwise is to simply call the manufacturer or shoot them an email. Simply by asking, you may get some great savings in the mail. Just because it’s on sale doesn’t mean it’s a good deal. If your family doesn’t like it, you could have paid pennies and still wasted money! Be purposeful about your needs and wants, and only buy things that make sense. Using a coupon doesn’t always mean you’re saving money! Not as scary as it sounds, we promise! By learning how to shop at drugstores for some of your regular items using their loyalty programs, you can really save. You can even stack coupons and earn money at the same time. Speaking of stacking coupons…This can be one of the most confusing (but rewarding!) parts of using coupons. Talk to the stores in your area and see what their coupon policies are to see if stacking coupons is an option. Even household items (like toothbrushes, toilet paper, etc) that you HAVE to have and really can’t go a day without can be FREE if you time your coupons with store sales. By learning when stores put certain items on sale, and using a coupon in that window, you can score many things for free! Stores are often on a cyclical pattern for when they discount items so pay attention…it could really pay off! Many stores these days, like Walmart, offer an app or program that will allow you to save money. You can literally save money without even lifting a finger. There are a number of tips out there on how to coupon but there are some really great coupon sites out there to follow and learn from. Printing coupons online can be a great way to get the coupons you need quickly and easily. No newspaper? No problem! Just make certain that you check with the store to see that they accept printed coupons. Meat can easily be one of the largest expenditures on your grocery trip – especially if you have growing teens or just plain large appetites in your home! Put some energy towards not only using coupons but using the RIGHT coupons. Some stores offer coupons that can save money on the meat! Rather than planning a menu and THEN deciding what you need, research your local sales and coupons first, THEN make your menu based off of what you plan to purchase. It’s the perfect way to save money and create a weekly meal plan at the same time. There are certain items you use on a regular basis and use coupons to build up those stockpiles. That way, you’ll never have to worry about paying money for any of those items. 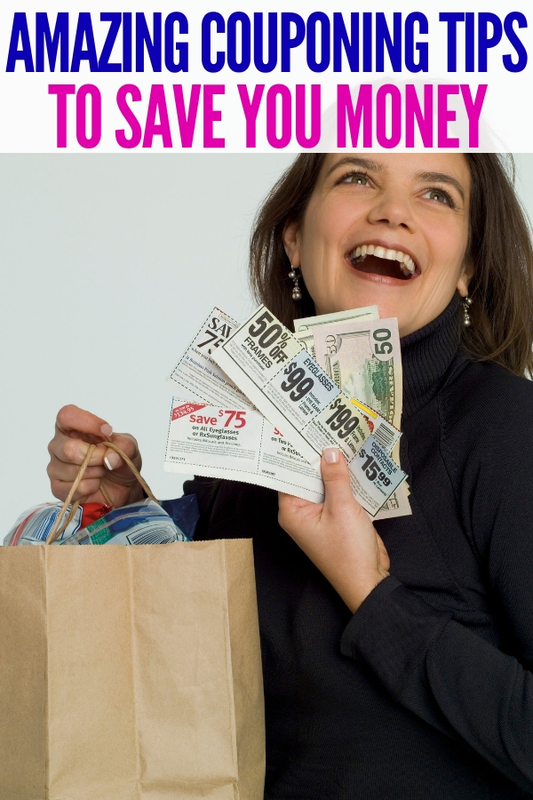 Yup, there really is a lingo associated with couponing…but don’t be overwhelmed! It’s not another language and you’ll get the hang of it really quickly. Read some forums or ask other couponers for advice. Access a database like this one to find thousands of coupons in one place. Easy, quick, and you reap the benefits of someone else’s legwork! Sites like eBay even sell coupons that can offer some serious money savings. It can be super confusing to remember which stores will allow you to stack or combine which coupons/savings programs, so don’t try to remember it on your own! Instead, print out a handy cheat sheet and know before you get to the register. I recommend even laminating it…that way, it’ll be there for many shopping trips! It can be easy to feel overwhelmed by the wealth of information that’s available. But seriously, don’t worry. You CAN do this…it may take some trial and error, but with a little perseverance, you can find a couponing method that works for you! No matter if you’re a seasoned couponer or are just getting started, you will find out a method for couponing that will be simple for you to use and implement. What kind of coupon tips do you have?